Bob Geldof KBE is best known for organising the 2005 Live 8 and 1985 Live Aid benefit concerts. He is heavily involved in the Make Poverty History Campaign, a campaign against third world poverty. In addition to his equally successful if diverse campaigning and musical achievements, he is also a proven businessman and is co-founder of Ten Alps a very successful production company and Phoenix led screen rental company. Bob Geldof KBE is best known for organising the 2005 Live 8 and 1985 Live Aid benefit concerts. Bob was recognized byTime Magazine as one of the 2005 European Hero’s. 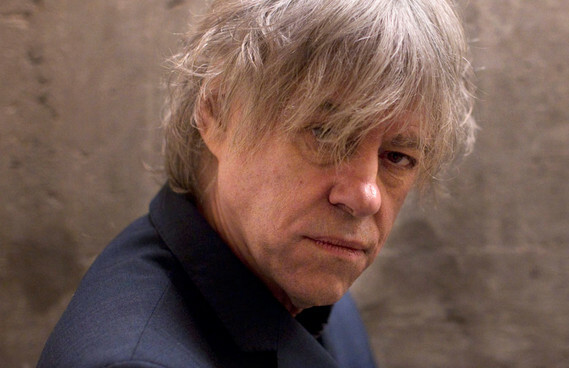 Now a truly global figure, his career began in journalism before forming the rock band Boomtown Rats. The course of his work changed when he set about the huge challenge of arranging Live Aid. In 2004 he returned to Ethiopia with UNICEF reviving media and public interest in the country’s economic state. He was honoured with the 2005 Nobel Man Of Peace Award and the MTV Free Your Mind Award which he received at the European Music Awards. In September 2008 Bob launched Peace Channel TV, set up by Peace Channel Foundation and Ten Alps, bringing online video and user generated content to global conflict resolution. Passion is undisputedly one of his strengths, but so is validity of message. His inspirational presentations are both well researched and convincing. He is highly entertaining and has great insight into the socio-political arena as well as leadership, communications, marketing in the global village, motivation and self-development.